We’re fairly certain that you’ll not have seen an Elvis magazine quite like ours. Now published quarterly, we guarantee our readers exclusive interviews illustrated with many rare and unpublished photos, well-written and honest reviews along with groundbreaking features. 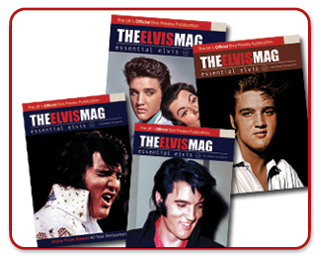 Our exciting full-colour magazine will also keep you right up to date with all the Elvis news from around the world. There are very few Elvis organisation that are dedicated to archiving the recollections from those who became a part of Elvis’ incredible life, personally or professionally. Our no-nonsense policy on printing in-depth interviews and features has gained us a reputation of which we are proud. We continue to track down those who were there, and we persuade them to allow us to print their memories, exclusively for our readers. His closest friends, members of his inner circle, musicians and songwriters all give up their time to participate in interviews, all of which offer first-hand accounts of their time with the world‘s greatest icon. Recent interviews have included most of Elvis’ Memphis Mafia, over a dozen movie co-stars and many of those who worked with him on stage or in the studio. 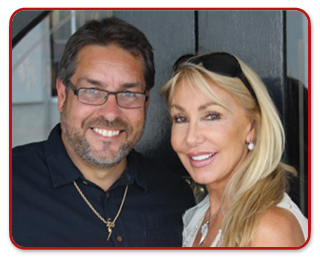 Highly acclaimed first-time interviews have also been conducted with his many girlfriends including, Dixie Locke, Anita Wood, Barbara Hearn, Linda Thompson and fiancée, Ginger Alden. We are also privileged enough to have some of the best researchers, historians and writers on board. Authors like Trevor Simpson, Aaron J. Spicer, Andrew Rollason, Shayne Driscoll and Mike Eder are now part of the team, giving our readers the very best in quality articles, reviews and features. Our glossy magazine offers the very best in quality in both presentation and content, and none of the work submitted is copied from the Internet. As a subscriber you’ll enjoy exclusive pieces written for our magazine alone, therefore, you never get the feeling of déjà vu when reading. In addition, our magazine now has 76+ packed pages printed on high quality paper with a striking laminated cover. It really is a beautiful publication. We work hard to produce a classy and well-put-together magazine that the team feel Elvis and his fans deserve. So please, consider supporting us by taking out a subscription today, and we‘ll do all we can to offer a polite, courteous service. And above all else, you‘ll be part of something special - an organisation that cares passionately about Elvis Presley. 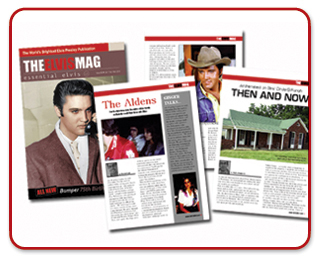 An Elvis historian and researcher, Andrew Hearn has written countless articles for Elvis publications and specialist music magazines around the world. He has acted as consultant for a number of radio production companies, books and television documentaries including A Little Bit Of Elvis with British comedian Frank Skinner. Editing and publishing a successful magazine has allowed Andrew to author two books about his idol. Essential Elvis Interviews and Follow Me To Tennessee have been well received by fans worldwide. We appreciate that not everyone is able to attend our events because of distance, but we’d still like to reassure you that whatever we plan to organise in the future, we will continue to keep up the high standard previously set by our guests, including The Imperials and The Sweet Inspirations. Our events manager, Shayne Driscoll, has recently secured a new venue here in Sussex (with easy access and ample parking) for some exciting Elvis events throughout the coming months. We’ve had meetings with several close Elvis associates in the USA to possibly attend as guest speakers in the future and we are working hard to offer a stunning exhibition, to include a superb museum containing actual items of Elvis’ clothing and personal artefacts at each event. 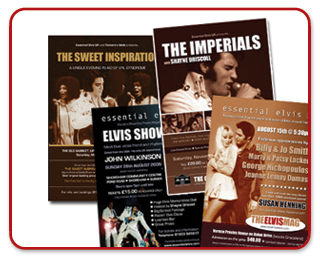 According to the Fan Club Relations Department at EPE in Memphis, Essential Elvis is now the biggest Elvis group here in the UK. Our healthy subscription figures speak for themselves, with numbers now outdoing all other Elvis fan clubs and publications. We believe our success is solely due to our dedicated approach, along with the decision to ensure each and every page of our magazine remains 100% Elvis. Many fan clubs are reporting a downwards slide, branches are closing and otherwise strong organisations are being forced to turn to Elvis impersonators to keep them afloat. In a time when the ‘Elvis’ industry is in danger of being overshadowed by the ‘Elvis Impersonator’ industry, we are one of just a few organisations remaining that will continue to solely promote Elvis Presley in a way that ensures his legacy is not diluted by imitators. We’re aware of the growing popularity of the ETA, but at present our main object is to refresh the world of the incredible talent that still inspires and provides for the hundreds of acts performing in the UK today. Elvis Presley himself must not be forgotten.